I’d like to welcome guest poster David Davis to the Eagle’s Quill today, someone who appreciates old things and the lessons we can learn from them. Thank you, David. How do you make life less complicated? Answer: Slow down. 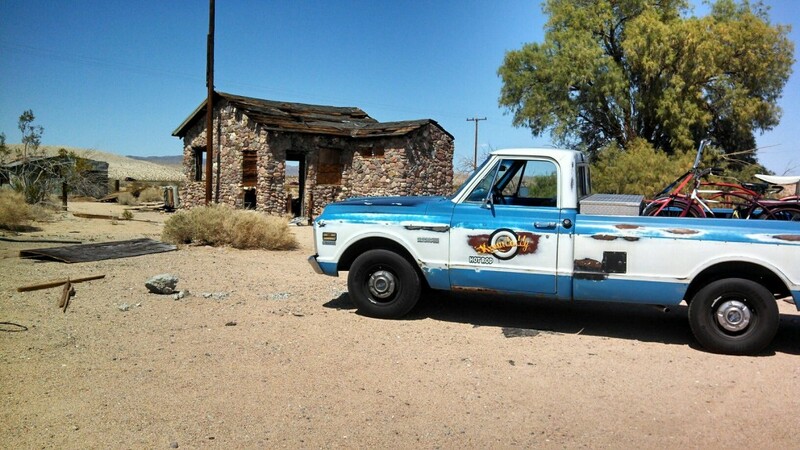 I drive a 1972 Chevy Cheyenne pickup for several reasons. I like classic everything. I like steel in my vehicle. I like American-made products from when I was a kid. I like the smell, the look, the patina, the driver’s-side door that’s a little hard to open, and the worn paint on the door frame where someone before me drove with their arm resting out the open window. I like the heater; you don’t have to wait too long to get warm. I like everything about my old truck. The turn indicator – or as it is often referred to as – the blinker, is slow and methodical in letting the folks behind me know what my intentions are…”Oh, he must be turning,” left or right, and maybe I just forgot to cancel my intentions and I leave it on for miles…sometimes by mistake and sometimes on purpose –just to get a rise out of the people behind me. The answer to the question I posed above was, “slow down”. My truck helps me remember to do just that. It forces me to be more deliberate in my choices. It reminds me to slow down and think before I act or react. Here’s how I see it: The blinker has a slow pace, maybe alternating on and off every second. Slow, steady, deliberate pace. It is unequivocal in its message or my message. The window frame with the well-worn arm mark…for the past 40-odd years, someone, including myself, has driven the truck with the window rolled down. You know what that means? It means they and I are getting to smell the world – good and bad – fresh air, sounds, a little wind on the side of your face. In the summer, it is glorious. Even though the truck came equipped with A/C, I like the window down better. It has a crank, giving me options for open or closed…depending on how I feel that day. Usually, it is open. I can wave hello to a neighbor and shout, “How ya doin'” to a passerby. I can get a rootbeer float at the local Sonic. It has a split rear window. If I had a big dog, he could ride in the bed of the truck and stick his head in every now and again to check on my driving, or just give me a lick on the ear…I gotta get a big dog too. The tailgate is tricky sometimes, but once down, I can load my whole house in the bed of my truck and haul the stuff anywhere I want. I can help a friend move or go get a new fridge at the department store. When I was a kid, riding in the back of a truck was a rite of passage. Today it is illegal or unwise or unsafe…don’t know why. I can’t remember it ever being a concern when I was a kid. My truck is getting old. Someday I’ll have to retire it and get another one. But that’s okay too. Everything deserves to rest after a long and well-fought life on this here planet, trucks included. A wonderful song from the 1960s by Simon and Garfunkel entitled “Feeling Groovy” bears the line, “Slow down, you move too fast. You gotta make the morning last. Just kicking down the cobblestones, lookin’ for fun and feeling groovy.” I think I’ll get in my truck and go feel some groovy…slow down. God bless my friends and family. Now go have a “slowed-down day”. Love y’all. the thought will keep its own time. My husband’s antique business affords the most amazing opportunities to discover treasures from yesteryear, items filled with mystery as we wonder where they’ve been and who their owners were. Every antique picker, as well as historical authors like myself who love old things, dreams of discovering that “big find”. 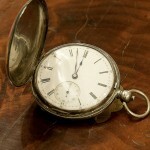 Two and a half years ago, we discovered such a treasure in the form of two 19th-century timepieces. 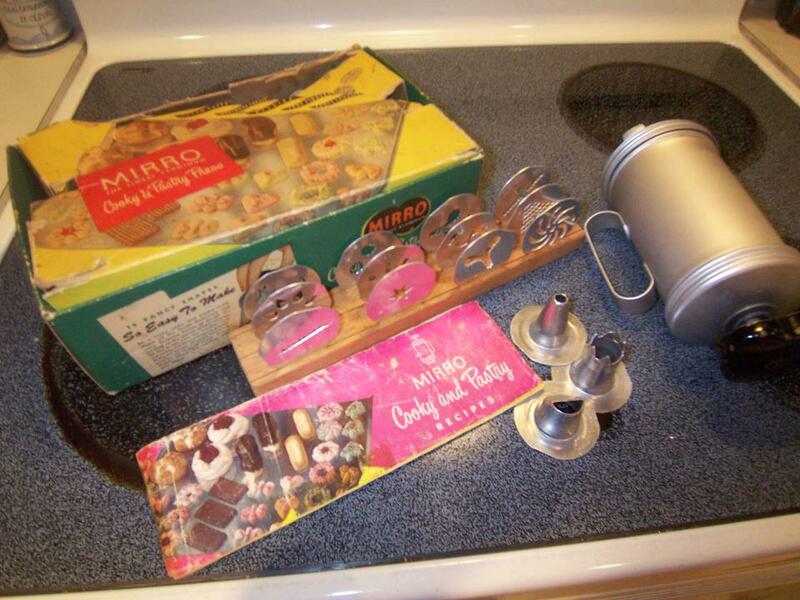 David had traveled to a rural home in Utah and spent several hours with the owners who had a mountain of inherited knick-knacks that they needed to be taken off their hands. They also needed property tax money and had no idea how they were going to get it. They’d been praying for a solution, when that solution showed up in the form of my husband. He excitedly looked through their gold and silver watches, knives, lighters, and such and chose a large number of things he wanted to stock in his store. Paying them well over what they needed for their tax bill, he left an extremely relieved and grateful couple and brought the treasures home. That evening, David’s partner came to our house, and we all started investigating the new treasures, oohing and ahhing over the beautiful pieces whose original, unknown owners were long gone. 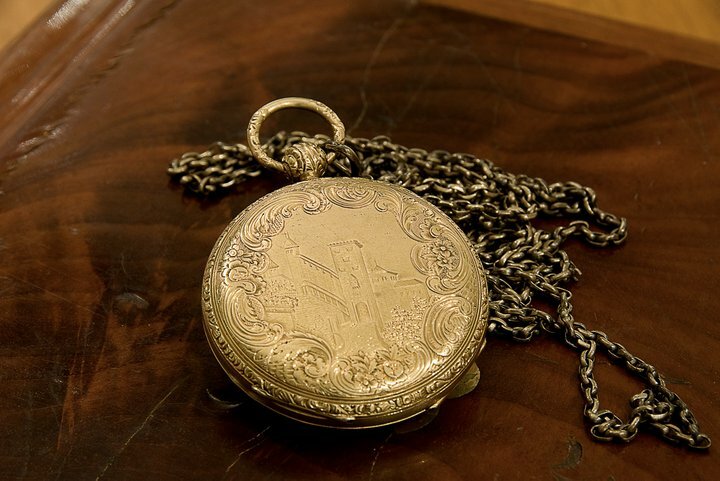 We could even hear ticking coming from one of the many old pocket watches and marveled at such workmanship that proved so longlasting. 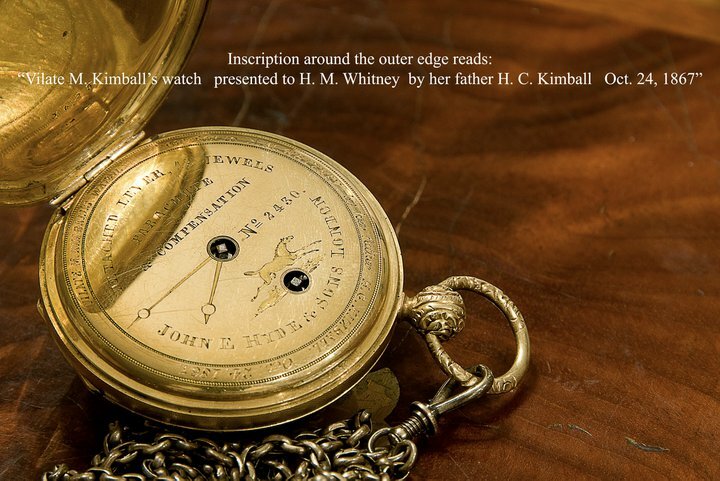 But the highlight of the evening was when David opened one watch and read the inscription claiming it belonged to a Vilate Kimball, a gift from her husband H.C. Kimball. Being familiar with Utah’s Mormon history, my mouth fell open and I exclaimed, “Vilate Kimball? Heber C. Kimball’s wife?” Heber C. Kimball was an apostle of the Church of Jesus Christ of Latter-Day Saints in the mid-1800s. Suddenly we handled the relic with even more delicate care than we already had been. 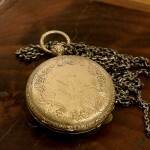 Breathless, we started checking all the other watches for signs of the original owner. 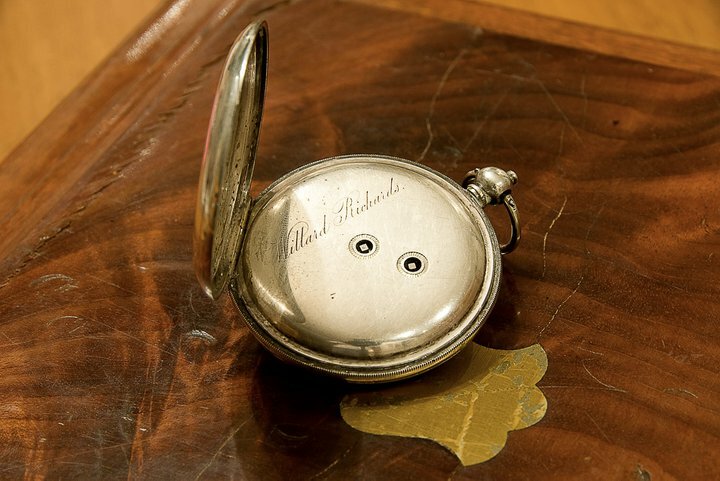 The next watch David picked up had another very famous name inside, Willard Richards, another LDS Church apostle from the same time period. We will never forget that exciting night! 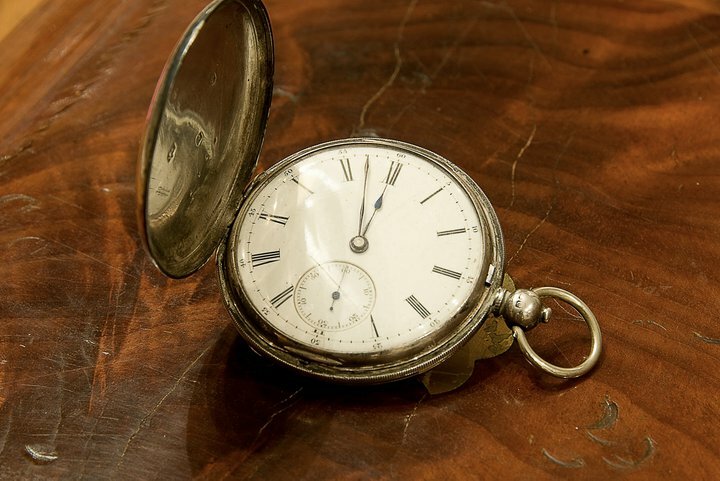 The following weeks we did lots of research, had both watches authenticated by LDS Church headquarters, and others, had them appraised, and procured a safe place to store them. And began searching for buyers, for, once we had had our turn enjoying and handling such beauty and history, we knew they wouldn’t be ours to keep and a permanent home would need to be found where they could be appreciated and enjoyed. 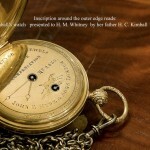 The Kimball watch has since sold to an entity for which it holds deep personal meaning and connection. In this transaction, four families’ lives were greatly blessed: the family who prayed for help with their taxes, ours and our partner’s families who very much needed a financial break ourselves, and the buyers who are very happy with their treasure. 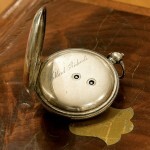 The Willard Richards watch is still for sale. 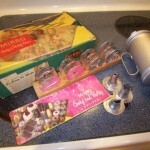 Interested parties may contact Shelly at eagleshadow2003@yahoo.com.